Cell viability detection is important in cell culture applications including measurement of cell proliferation i.e for understanding cytotoxic effects of compounds on cells. There are some cell viability methods based on fluorescence or non-fluorescence detection. More simplified evaluation for cell viability, such as trypan blue staining, can be preferred before performing fluorescence assays. This appears advantageous when to have a large number of cell samples in ELISA plates after treatments with different concentrations of drug candidates. Thus, further fluorescence assays can include less concentrations rather than experiencing all used along 96-well plates. For this, trypan blue exclusion method is an option. Traditionally, treated cells are harvested by centrifugation and incubated with trypan blue within tubes followed by transferring the mixture into a hemacytometer with two chambers and assessed under the microscope. Nevertheless, using a hemacytometer limits practicability of this method when analyzing various cell samples into 96-well plates at the same time. This study was aimed to adapt trypan blue method to in situ staining of adherent cells cultured on ELISA plates. For this, cells were fixed with different fixatives after trypan blue incubation to maintain cells in impenetrable meshwork, and paraformaldehyde was the most effective fixative. This modified protocol was validated by testing the effect of dimethylsulfoxide-a cytotoxic agent-on cells, and expectedly found that cell viability reduced with higher concentrations of dimethylsulfoxide suggesting that in situ detection of cell viability by trypan blue can be a useful tool for preliminary detection of cells cultured on ELISA plates before performing automatized experiments with such flow cytometer and/or microplate reader. 1. Takeichi, M. and T.S. Okada, Roles of Magnesium and Calcium-Ions in Cell-to-Substrate Adhesion. Experimental Cell Research, 1972. 74(1): p. 51-&. 2. Day, E.S., L. Osborn, and A. Whitty, Effect of divalent cations on the affinity and selectivity of alpha 4 integrins towards the integrin ligands vascular cell adhesion molecule-1 and mucosal addressin cell adhesion molecule-1: Ca2+ activation of integrin alpha 4 beta 1 confers a distinct ligand specificity. Cell Communication and Adhesion, 2002. 9(4): p. 205-219. 3. Sewell, B.T., C. Bouloukos, and C. von Holt, Formaldehyde and glutaraldehyde in the fixation of chromatin for electron microscopy. Journal of Microscopy, 1984. 136(Pt 1): p. 103-112. 4. Tennant, J.R., Evaluation of the Trypan Blue Technique for Determination of Cell Viability. Transplantation, 1964. 2(6): p. 685-694. 5. Park, S., et al., Protocol for Vital Dye Staining of Corneal Endothelial Cells. Cornea, 2012. 31(12): p. 1476-1479. 6. Mody, K.T., et al., Freeze-drying of ovalbumin loaded mesoporous silica nanoparticle vaccine formulation increases antigen stability under ambient conditions. International Journal of Pharmaceutics, 2014. 465(1-2): p. 325-332. 7. Okahashi, N., et al., Hydrogen Peroxide Contributes to the Epithelial Cell Death Induced by the Oral Mitis Group of Streptococci. Plos One, 2014. 9(1). 8. Strober, W., Trypan blue exclusion test of cell viability. Current Protocols in Immunology, 2001. Appendix 3: p. Appendix 3B. 9. Tanaka, K.A.K., et al., Membrane molecules mobile even after chemical fixation. Nature Methods, 2010. 7(11): p. 865-866. 10. Perry, S.W., L.G. Epstein, and H.A. Gelbard, In situ Trypan Blue staining of monolayer cell cultures for permanent fixation and mounting. Biotechniques, 1997. 22(6): p. 1020-&. 11. Mihara, K., T. Nakayama, and H. Saitoh, A Convenient Technique to Fix Suspension Cells on a Coverslip for Microscopy. Current Protocols in Cell Biology, 2015. 68: p. 4 30 1-10. 12. Schnell, U., et al., Immunolabeling artifacts and the need for live-cell imaging. Nature Methods, 2012. 9(2): p. 152-158. 13. Kading, R., M. Crabtree, and B. Miller, Inactivation of infectious virus and serological detection of virus antigen in Rift Valley fever virus-exposed mosquitoes fixed with paraformaldehyde. Journal of Virological Methods, 2013. 189(1): p. 184-188. 14. Wang, H., et al., Different fixative methods influence histological morphology and TUNEL staining in mouse testes. Reproductive Toxicology, 2016. 60: p. 53-61. 15. Thavarajah, R., et al., Chemical and physical basics of routine formaldehyde fixation. Journal of Oral and Maxillofacial Pathology, 2012. 16(3): p. 400-405. 16. Amer, S., N. El-Wakiel, and H. Ei-Ghamry, Synthesis, spectral, antitumor and antimicrobial studies on Cu(II) complexes of purine and triazole Schiff base derivatives. Journal of Molecular Structure, 2013. 1049: p. 326-335. 17. Bekircan, O., B. Kahveci, and M. Kucuk, Synthesis and anticancer evaluation of some new unsymmetrical 3,5-diaryl-4H-1,2,4-triazole derivatives. 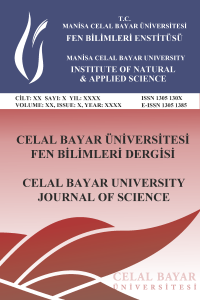 Turkish Journal of Chemistry, 2006. 30(1): p. 29-40. 18. Da Violante, G., et al., Evaluation of the cytotoxicity effect of dimethyl sulfoxide (DMSO) on Caco2/TC7 colon tumor cell cultures. Biological and Pharmaceutical Bulletin, 2002. 25(12): p. 1600-163. 19. Qi, W., D. Ding, and R.J. Salvi, Cytotoxic effects of dimethyl sulphoxide (DMSO) on cochlear organotypic cultures. Hear Research, 2008. 236(1-2): p. 52-60. 20. Jamalzadeh, L., et al., Cytotoxic Effects of Some Common Organic Solvents on MCF-7, RAW-264.7 and Human Umbilical Vein Endothelial Cells. The Avicenna Journal of Medical Biotechnology, 2016. 4(1): p. 10-33453. 21. Yuan, C., et al., Dimethyl Sulfoxide Damages Mitochondrial Integrity and Membrane Potential in Cultured Astrocytes. Plos One, 2014. 9(9). 22. Tapani, E., et al., Toxicity of ethanol in low concentrations - Experimental evaluation in cell culture. Acta Radiologica, 1996. 37(6): p. 923-926.